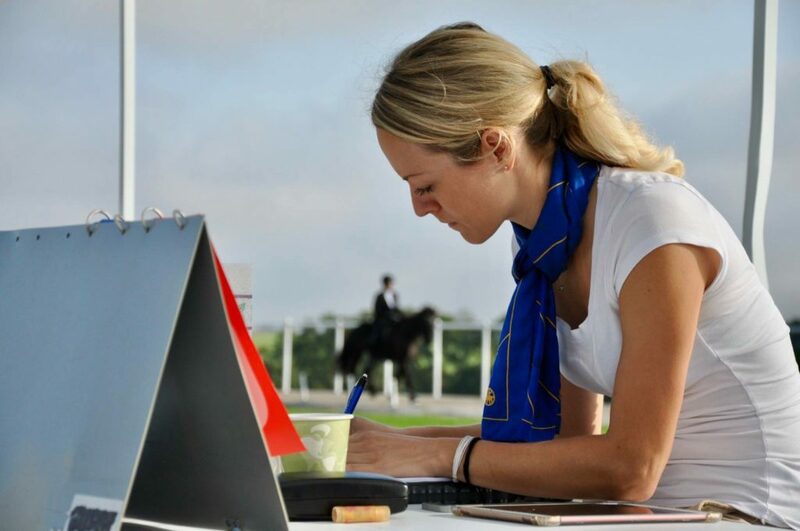 Ishestnews har varit i USA och gjort en intervju med Alexandra Dannemann som tillsammans med sina föräldrar äger och driver Florida Icehorse Farm nära Fort Myers i sydvästra Florida. Vi ville veta mer om hur det är att hålla islandshästar i just Florida, amerikansk hästkultur och hur islandshästen står sig rent konkurrentmässigt gentemot andra gångartsraser i USA. Alexandra är född och uppvuxen i Tyskland och flyttade till USA 2013 tillsammans med sin familj och sina hästar för att bygga upp en ny islandshästverksamhet. Alexandra är utbildad IPZV Trainer B från Tyskland och är internationell sportdomare. 2017 erhöll hon det prestigefyllda priset “Trainer/Instructor of the year 2017” från FEIF och hon har även ledande positioner inom den amerikanska islandshästförbundet, USIHC. Tell me a little bit about Florida Icehorsefarm? Florida Icehorsefarm is a small, family owned business, that gives me the chance to continue the work I did in Germany. The facilities are consistent of an air-conditioned barn for the horses with direct access to the pastures. 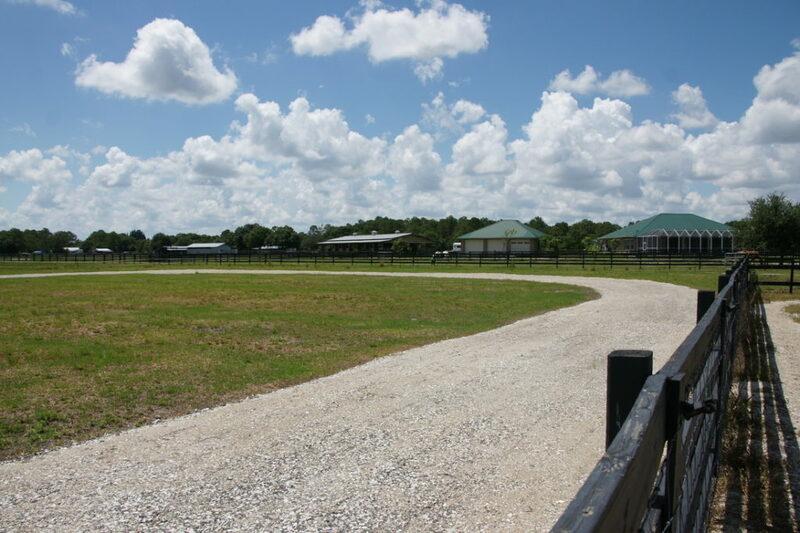 We also have a separate barn with direct pasture-access for the training horses or injured horses, a riding arena, a round pen and a 200m oval track. 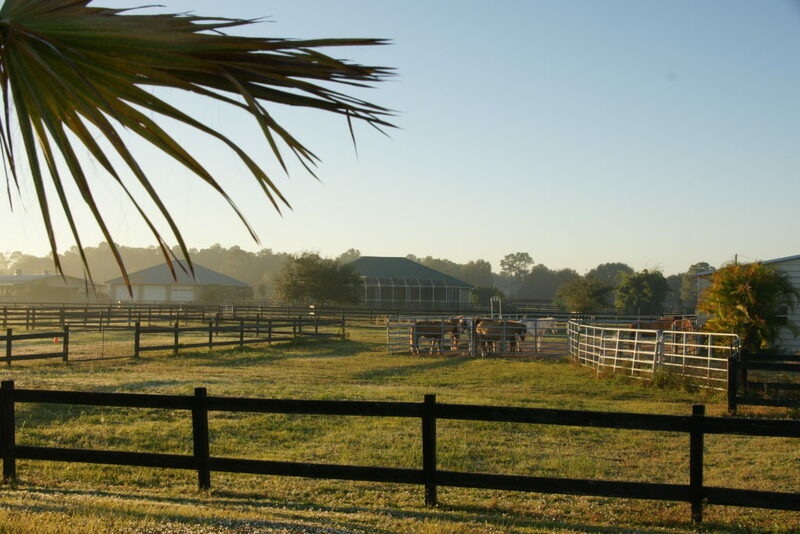 For the riders, we provide a tack room and a Lanai with view over our pond and the pastures. How does the year look like? Do you even have winter here? Actually, we do not have winter here- however, if you ask the Floridians, they would strongly disagree as there is a big difference between winter and summer here in Florida. The summer time is characterized by hot, humid and wet weather. It only rains once a day for approximately 45 minutes but it’s a typical tropical rain that raises the humidity even more. 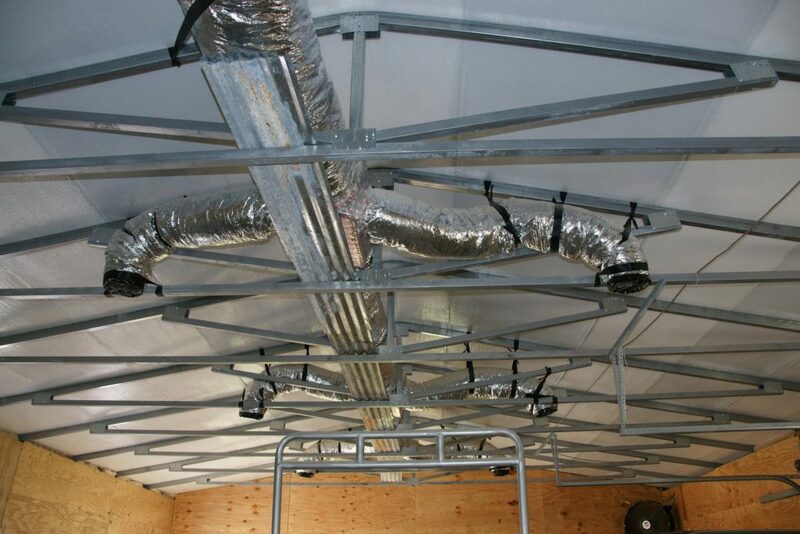 For that time of the year, we built the air-conditioned barn where our horses can hide from the heat. The summer time is also the time of the year where the rest of the Icelandic horse world is busy. That means that I am hardly at home but mostly at other places in the US and Europe in order to teach clinics, train horses or judge sport competitions. For those reasons, I usually give most of my horses a summer break of 3-4 months. The “winter” in Florida is luckily quite long, around 7 months and is comparable to a very nice (and rare) summer day in Germany, consistently sunny with temperatures around 25 degrees Celsius and hardly any rain. Around that time, the training horses from the rest of the country arriving at my place in order to get started or trained and prepared for the next season. Alexandra och en amerikansk uppfödning, Bryndís from Creeksidefarm, på gårdens ovalbana./Alexandra riding an american bred icelandichorse Bryndis from Creeksidefarm. How many horses do you have at the farm? We currently have 13 horses at the farm but it varies, depending on the number of training horses. We try to keep the number of our own horses small, that gives me the possibility to travel and work at other farms and competitions as much as I do. There are no other Icelandic horse farms in Florida but there are several privately owned Icelandics spread in the north of Florida. 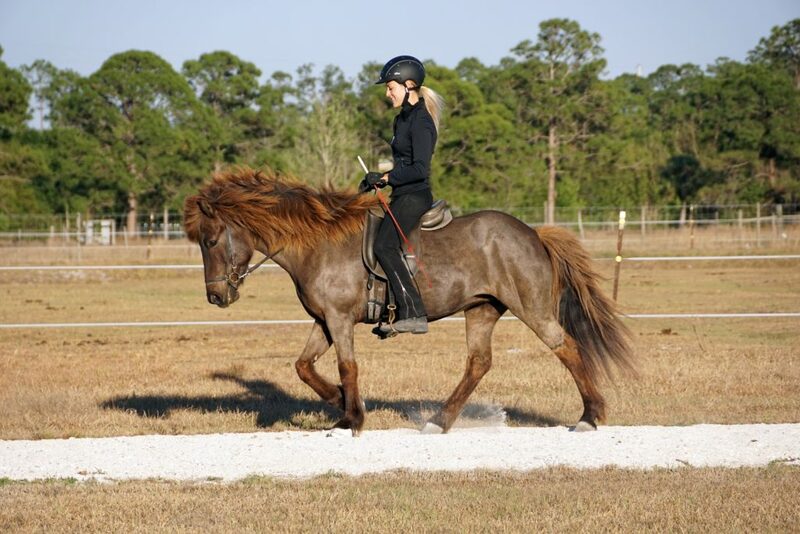 While it is great when students or other riders in Florida buy their own Icelandic, I also find it absolutely essential to raise the awareness, that keeping this breed in this climate requires special care and considerable effort. Icelandic horses are unbelievably adjustable and mentally strong horses. They won’t show easily when they suffer. Therefore, educating people how to read, understand and keep and feed Icelandic horses in Florida, a state that is climate-wise contrary to Iceland, is important to me. Do you have any imported horses? Yes, almost all of my horses are imported from Iceland. 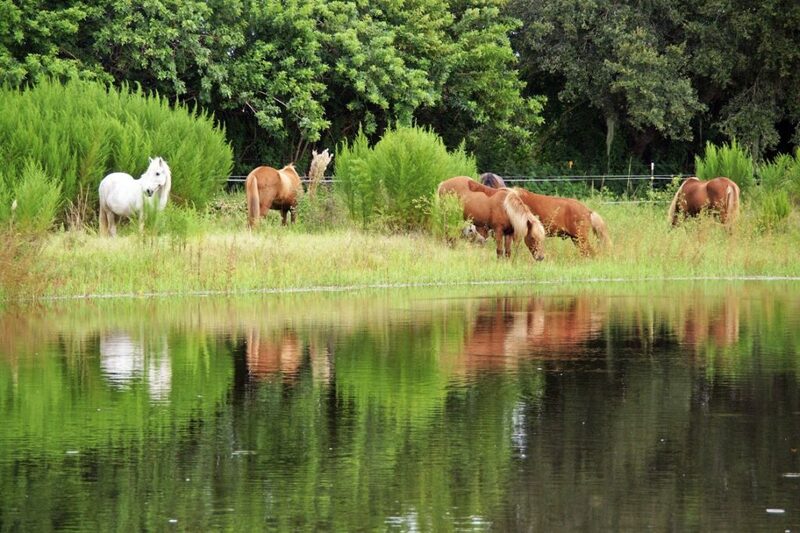 Some of them came via Germany to Florida but I also imported several horses from Iceland since I live here. The reason for it is the still small number of American bred horses, but also that I personally always liked the nature, politeness and spirit of the imported horses. Lösdriften. Lägg märke till fläktarna i taket och på väggarna./The fans help the horses against the heat. I imported all genders and didn’t notice a difference in how they handle the heat. Usually they all do fine, like I said before- they are unbelievably adjustable, yet the first summer can for some horses be more troublesome and those take advantage of the a/c barn, while the “old-Floridians” are often to find outsides. We only had one import from Iceland who lastingly had some trouble to adjust to the hot summers, even after two years. Therefore, it is important to pay extra attention and make difficult decisions for the benefit of the horse, if necessary. This guy lives in Vermont know, which I believe was the best decision in his case. I have heard the horses who are imported to California from Iceland don’t get problems with eczema like in Europe, is it true and is it the same here around? It is true that eczema problems are much less likely in California than in Europe and it is the same at my farm here in Florida. 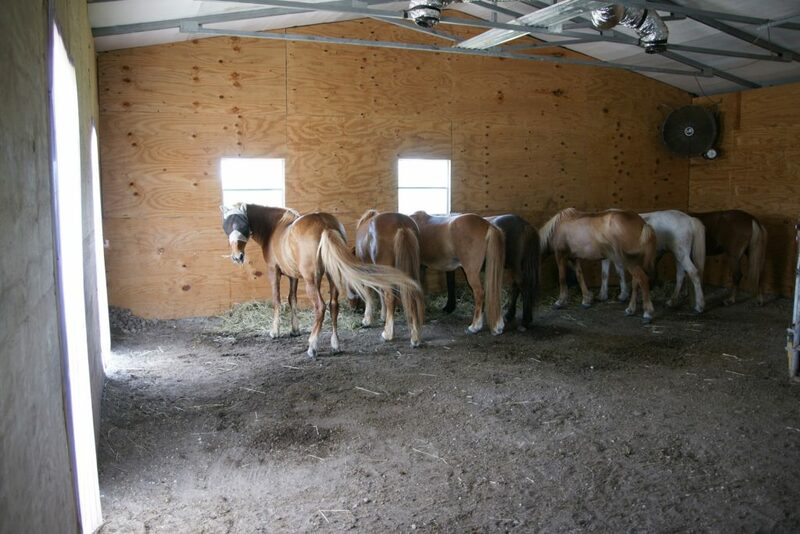 However, it also depends on where exactly the horses are located and even more how they are kept. There are several people in the north of Florida who contact me regularly, asking for advice because their horses show severe eczema reactions.Essential is to provide a barn where the horses can hide from the heat and the mosquitos. Fans are necessary as well. 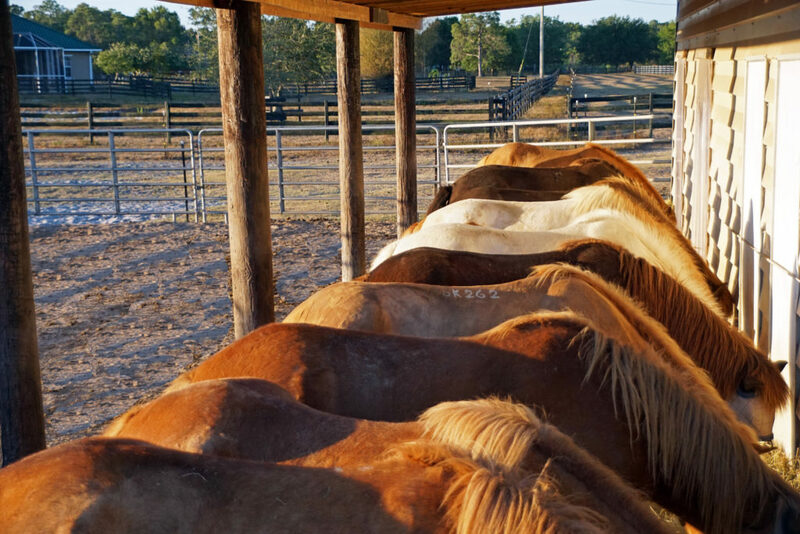 Important to know is also, that it is not possible to put blankets on the horses, because the heat accumulates underneath and can cause overheating and heat stroke. Our barn is slightly elevated and we have hardly any trees on the property. This is a good thing, because it minimizes the number of mosquitos. On top of that, we are around 30 miles away from the sea and are blessed with a constant, slight sea breeze. We do not have any issues with summer eczema at our farm and even the horses who suffered from it in Germany, fully recovered here in Florida. Alexandra i domararbete/Alexandra at work as a sport judge. How does it work with associations and sports competitions here in southern US? The US does have several regional clubs who belong to the USIHC. Although the most Icelandic horses are to find in the New York area, the biggest facility of the States is located in Kentucky, which is technically a southern state. Here I am part of organizing the annual triple WorldRanking tournament and participants are used to trailer their horses from all over America and Canada to that show. Living in a big country like this requires flexibility and the willingness to cover long distances. Alexandra tränar Maídís from Hanging Valley. 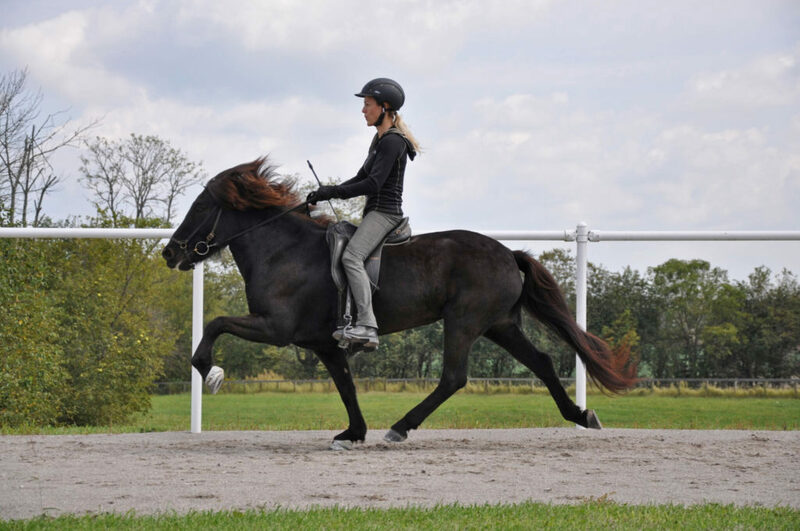 Here in the US you have many gaited breeds, how is the Icelandic horse doing if you compare to them? Is it common with prejudices? 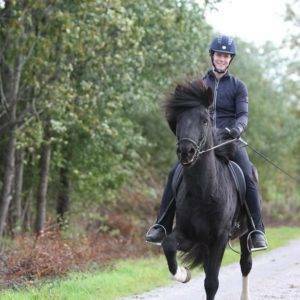 You have touched on an important issue, because you are right, the US is flooded with gaited horse breeds and that is the main difference to Europe and one reason that makes establishing the Icelandics troublesome. It is challenging to convince the American people to decide for a smaller and usually more expensive horse, when the bigger one’s do gait as well. The history of the Americans, their relationship to horses and the meaning of it, indicates their tendency to choose big horses. There are also more men doing horseback riding here in the States, compared to other countries. However, the Icelandic horses are indeed very different to all other breeds and luckily, the American people are in general open-minded and adventurous and usually not judgmental. But since we cannot really be convincing enough by putting the comfortable tölt of the Icelandics into focus, we must refer to their origin and history and thus its resultant special character and spirit, that makes them so unique, strong and reliable. A prerequisite for that is though, to make this attribute a priority in our breeding. What is the most important thing, in your opinion, to do to build up the marketing for the Icelandic horse in the US ? Problems and possibilities about that? To begin with, I think it is important to understand and accept, that based on the culture of the American people, their lifestyle, personality and relatively scant experience with classical riding styles and methods, we cannot just implement the European system into the United States. Much rather we have to adjust to the circumstances and develop an own system that fits the needs here in this country, inspired by models from different FEIF associations. Basically, it means we have to start by building up a solid foundation. A good breed is essential and indispensable, based on what the American market is asking for: Honest, trustworthy horses with a clear mind and lots of clear tölt. Horses, people can learn from, build up trust and become better with. In addition, we need well educated, pedagogical and competent trainers/instructors who support the existing horse owners and furthermore create new clients, which are potential horse buyers and future breeders, but also participants in clinics, competitions and trainer courses. Obviously, it is also necessary to have quality competition horses for promising or competitive individuals, but they are still the minority. In order to excite more people for this still small Icelandic horse community, which is the fundamental prerequisite for the survival and expansion of this breed in the US, we need a good and strong basis. Our association has to be open-minded and supportive and ideally be filled with innovative people whose priority is to win more members and to connect them. This is easier said than done in a country like this, where the distances are huge and therefore people often feel isolated and left alone with their problems. As an active board member and education leader I’m directly involved in this process. I’m aware of my responsibility and believe we are on a good way if we put the focus on breeding, education in general, and promotion of the youth. I’m convinced that it is important to do such work with an open-hearted and approachable mind-set and great flexibility, and with the intention to keep things as uncomplicated and feasible as possible. Bravely just getting started is often the best road to take. Flexibility helps to change the directions if necessary and improvement happens as we go. My biggest problem is lack of time because there are countless ideas in my mind and things I would love to do or develop. I don’t know how much I will get done of everything that is in my head but for the near future my goal is to fully adjust to this country and the people here and understand their culture as best as possible, in order to develop a sustainable system that truly addresses them. I will continue to work towards a growing Icelandic horse community in America, an increased number of horses, a goal-oriented breed, diverse national educational possibilities and interesting programs for all kind of riders. I’m working closely together with FEIF and their associations and hopefully, I can be a helpful part of putting America a bit more into recognition internationally. I also look forward to doing my regular job besides the association; Teaching and training, both in America and in Europe, and judging national and international competitions – for example in Sweden. Previous article2018 års utmärkelser utsedda! Next articleSe World Cup Tölt under SIHS live!